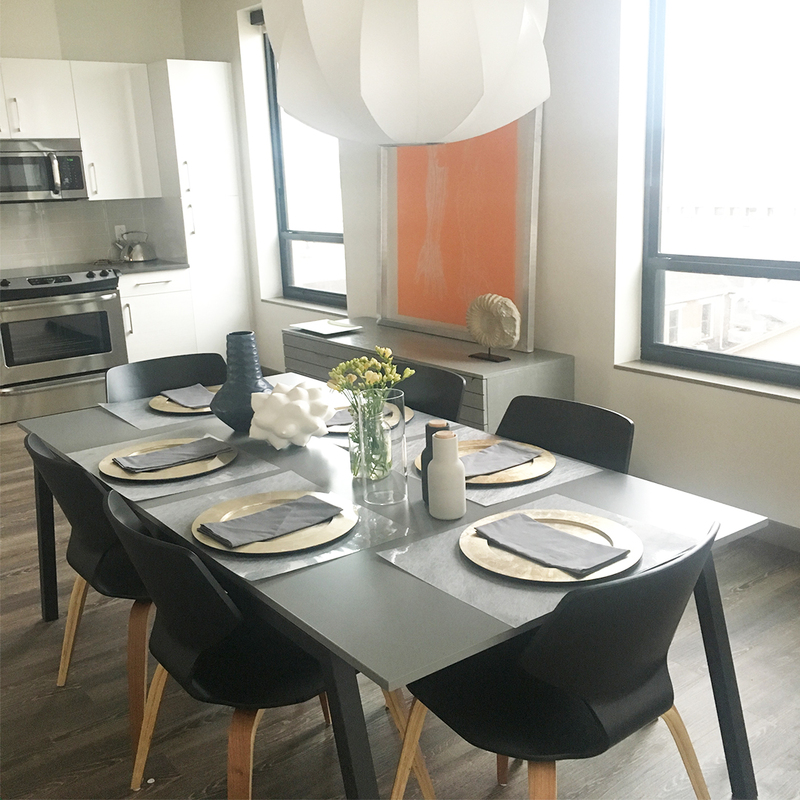 You’ve probably noticed that we don’t sell “dining sets.” Instead, our passion is to mix and match our modern tables and chairs to create a personalized dining combination for your space and style. We love how the same table can take on so many unique looks just by switching the chairs. We’ve gathered photos of our customers’ dining rooms to show you what we mean! The Rand table’s unique architectural design gives the illusion of a floating top with sleek, corner-set legs that allow maximized seating. It comes in a variety of sizes and top materials as well as a stainless or natural steel base to get the exact look and function that’s right for you. 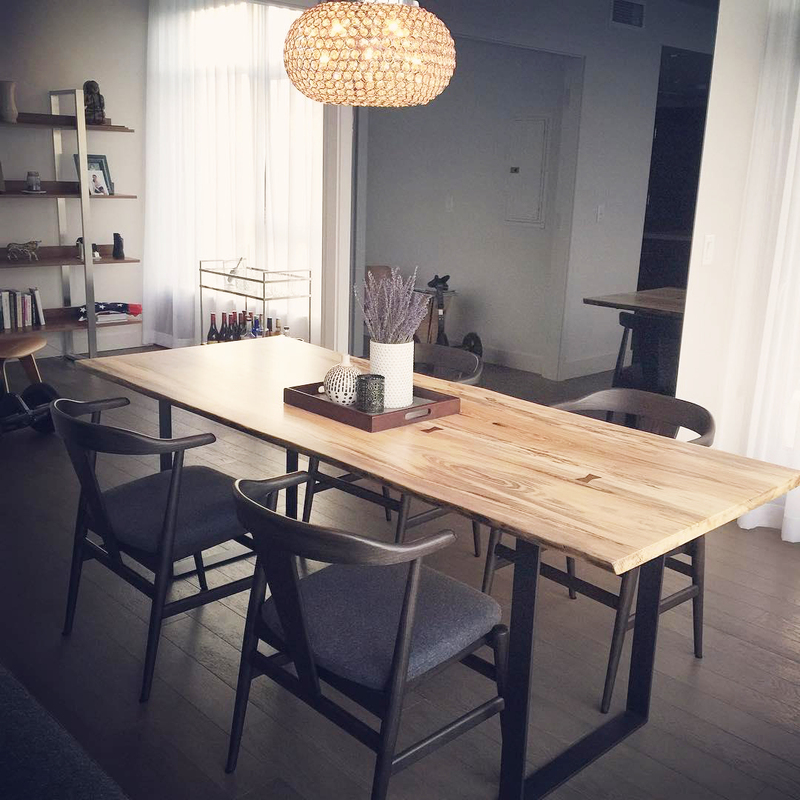 thedarrensukenikteam paired a Rand table in maple with Soren chairs in cherry–proof that mixing woods is a do! 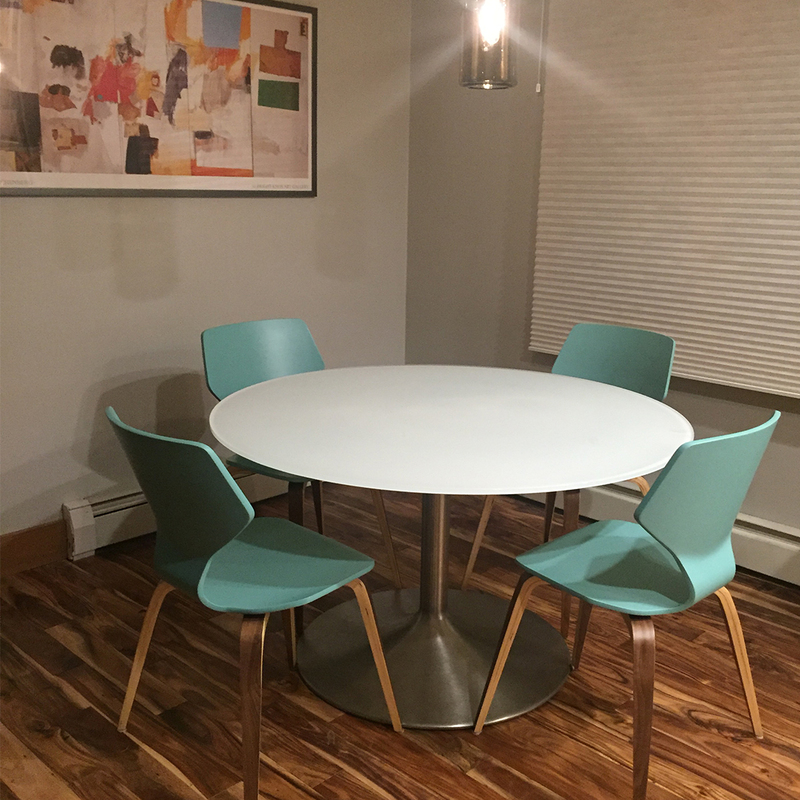 averagelibertarian chose Rand with a glass top, which provides a beautiful contrast with our artisan-crafted Afton chairs in walnut. 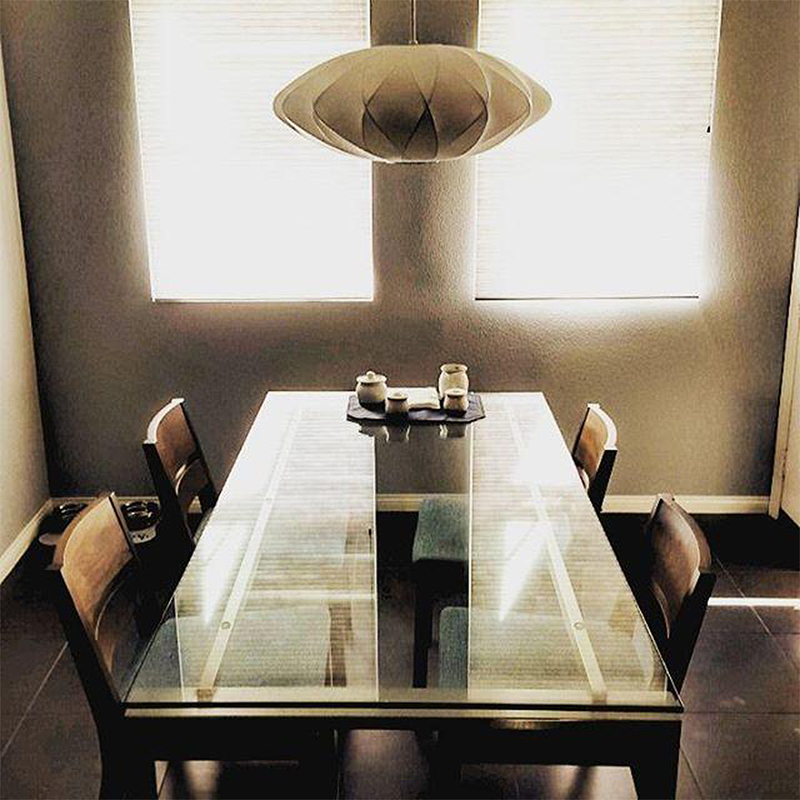 Jmflies went with Rand in a dark grey colored top paired with light Lira dining chairs in canvas cement for a dramatic look. Our Cass dining table is an influence of modern design and complemented by angular accents. 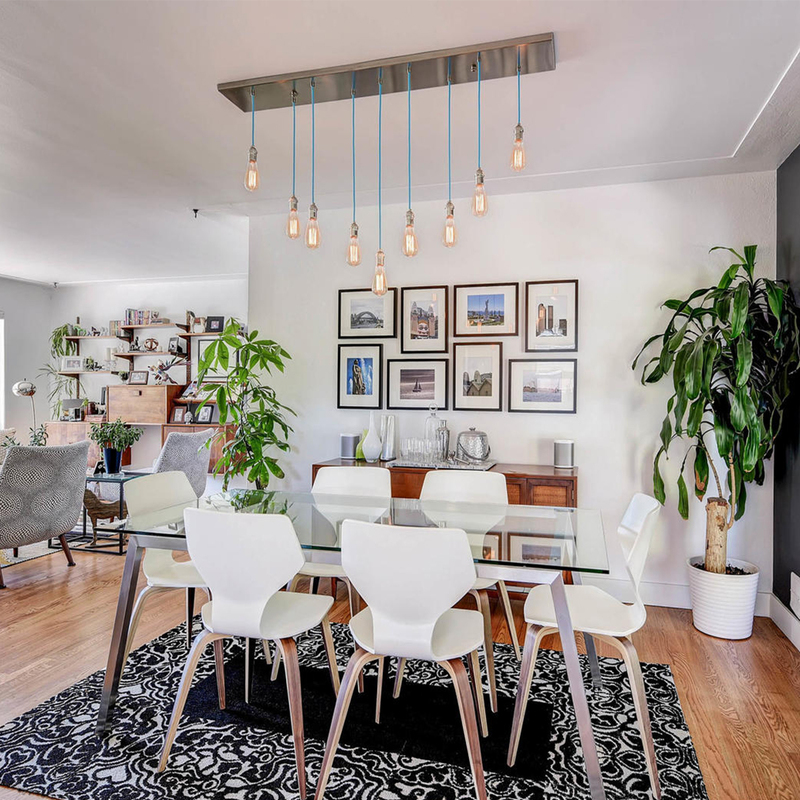 The slightly angled legs leave plenty of space for a variety of chairs while the table top’s subtle overhang makes it easy to neatly tuck away chairs. Cass is available in several top options with a stainless or natural steel base. Mgw1282 pairs Cass in a stainless steel base and glass top with white Pike chairs for an industrial meets handcrafted feel. DawonHawkins also pairs Cass with Pike chairs, but the different colors and materials give it an entirely different look! Here Cass is featured in a grey MDF top with natural steel base. The Chilton dining table as is as unique as the tree from which it came. Each tabletop is created with a solid slab of wood and showcases natural markings like knots, splits, and distinct grain patterns. Craftspeople brace any areas that require extra stabilization with beautiful butterfly joints cut from a complementary wood. Pick from three gorgeous kinds of wood: walnut, spalted sugarberry, or cherry! mmtracey pairs the Danish-influenced Evan chair in charcoal stain with Chilton in spalted sugarberry. 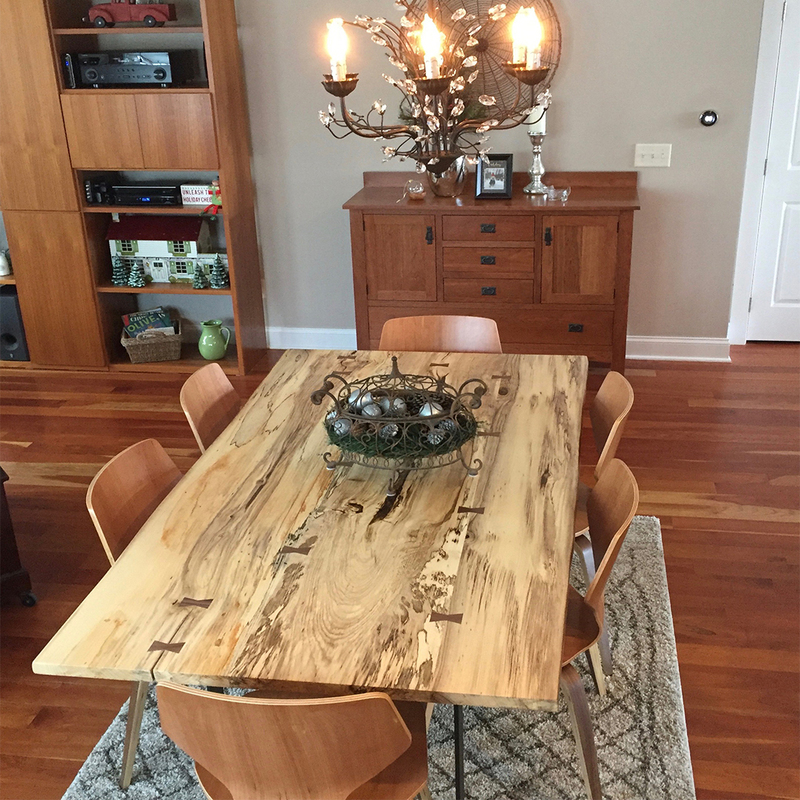 Ambfam selected Pike chairs in cherry wood to complement the Chilton’s lighter wood tones. A striking mix of natural materials, the Linden dining table offers Arts & Crafts style with a modern sensibility. Your choice of durable stone top options rests on a solid wood base. The sturdy legs are set at the corners to maximize space for chairs. Linden is a good choice for everyday dining and is equally at home in more formal settings. 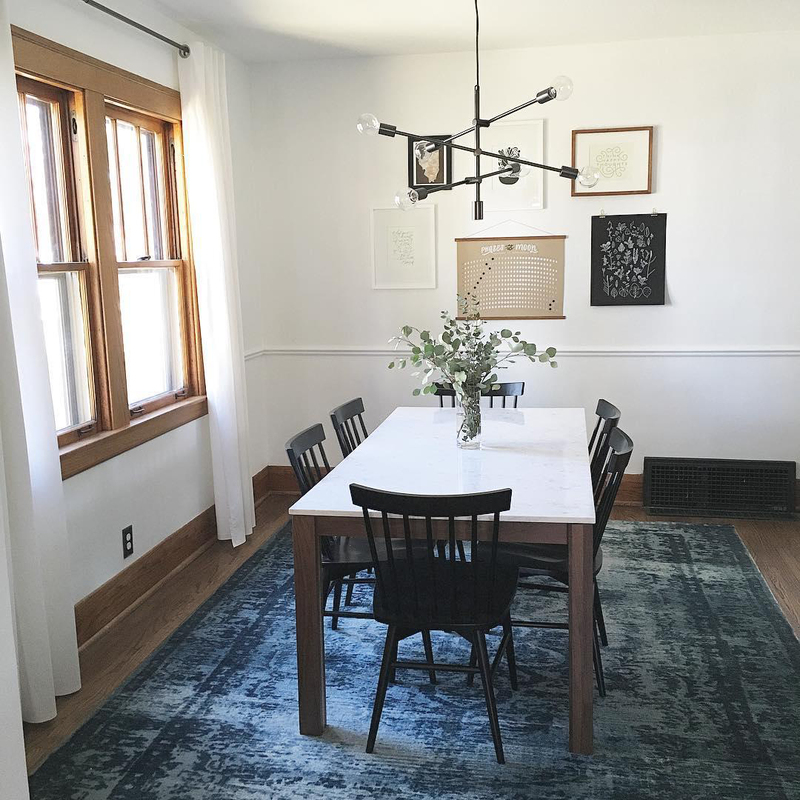 The Linden table, with a marbled white quartz top and walnut base, paired with Thatcher chairs in charcoal stain in caitlinleman‘s dining room exude modern farm table vibes. 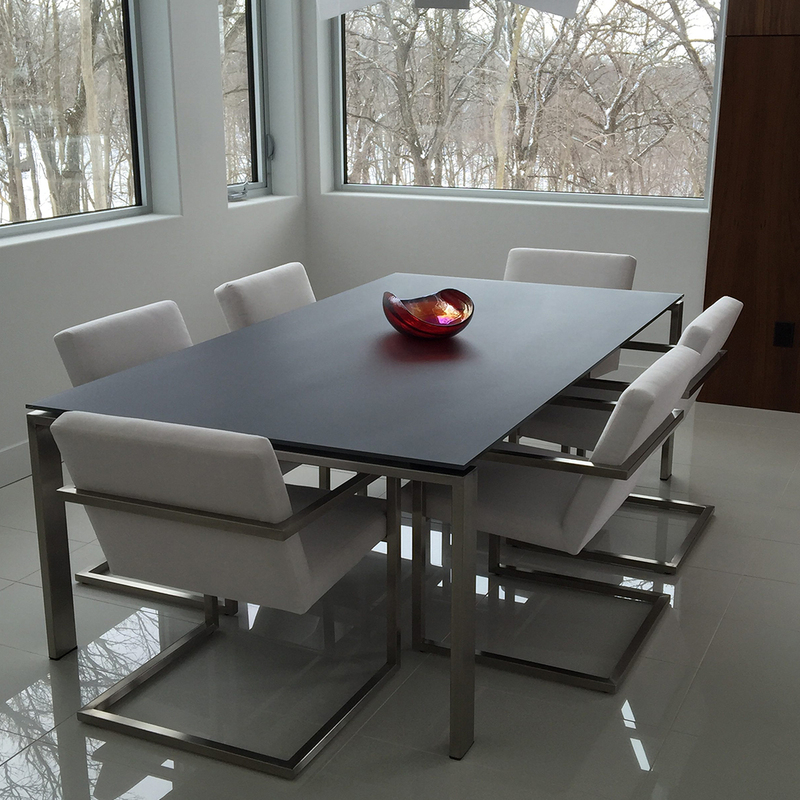 The Linden table has an elegant feel when paired with the sleek Sava chairs and bench in candisoh‘s dining space. The timeless Portica table is handmade by Wisconsin artisans and features clean lines, mitered corners, and precise craftsmanship. This exclusive table has slim legs set at the corners to maximize seating. It also comes in a wide range of top material options. 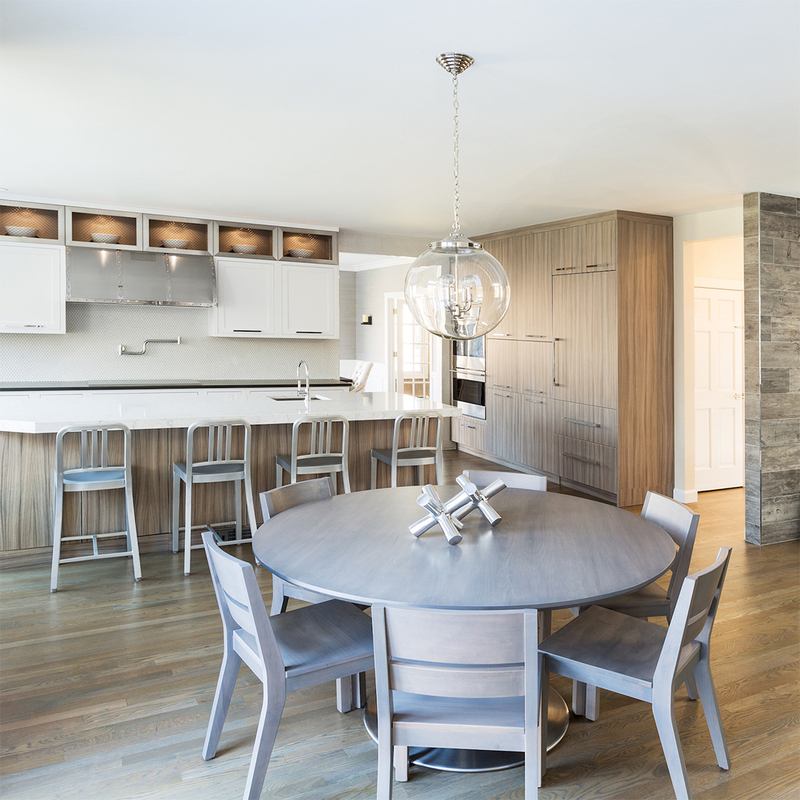 noviadesignstudio‘s dining room feels light and airy with Evan chairs in sand stain and a Portica table with glass top. Simple and elegant, the mid-century-inspired Aria dining table is handmade in Wisconsin. Craftspeople create the legs from one piece of steel, so there are no seams or joints to spoil the look. Perfect for small spaces, Aria’s pedestal design allows for ample leg space and lots of chairs! 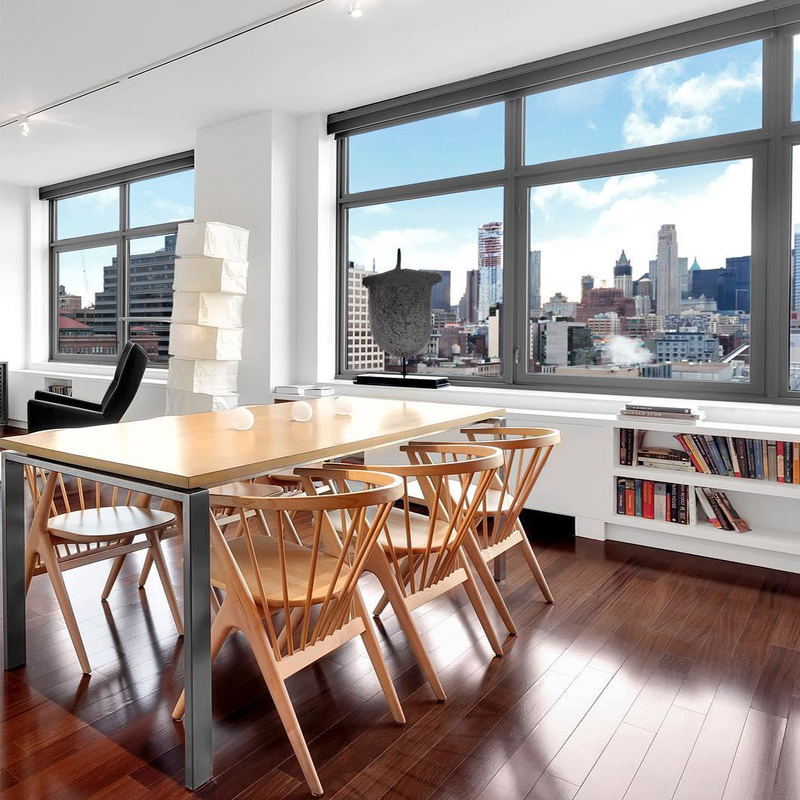 Choose from several tabletop options and a white, stainless steel or natural steel base. 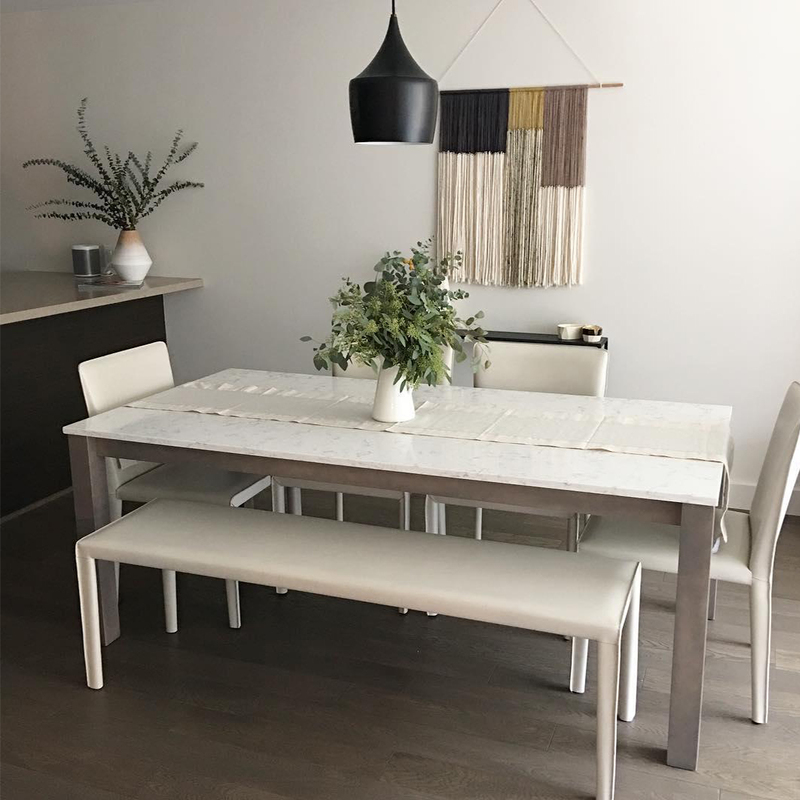 Cmthomas05 added a pop of color to her dining space with Pike chairs in ocean and an Aria dining table in white glass with a stainless steel base. 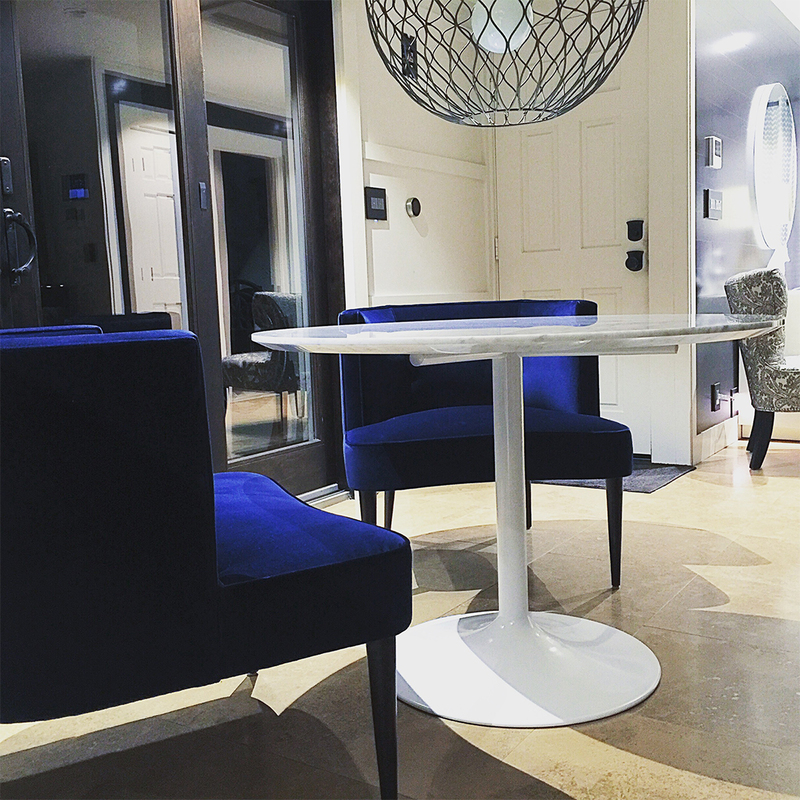 jaxiejaxstudio was drawn to Chloe chairs in velvet indigo with his Aria table in white and venatino marble top. 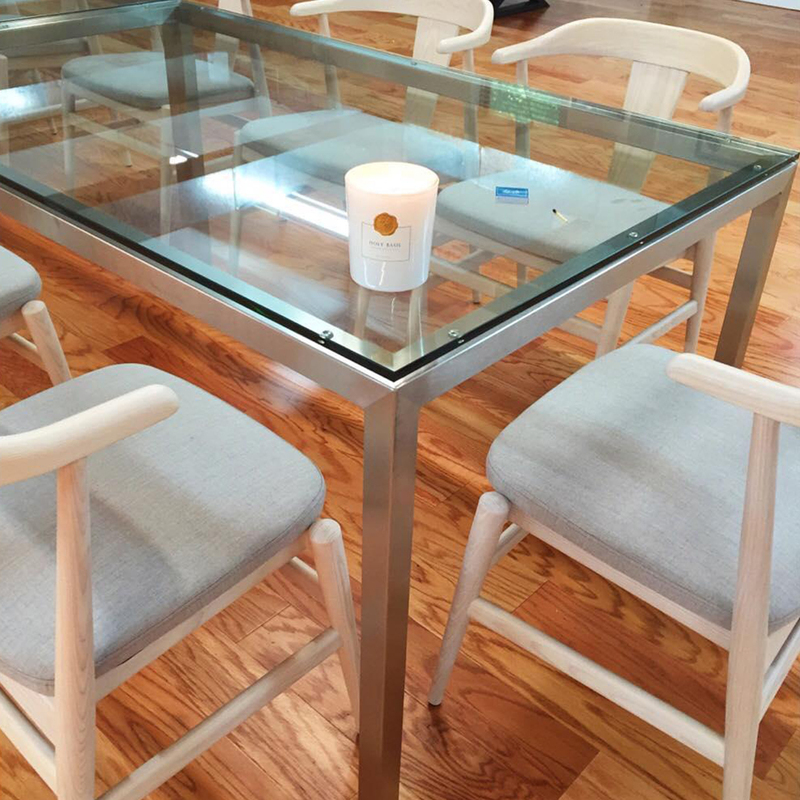 Ashley-krasinski went for a monochromatic look with her Aria table and Afton chairs in maple with shell stain. Which setting is your favorite? 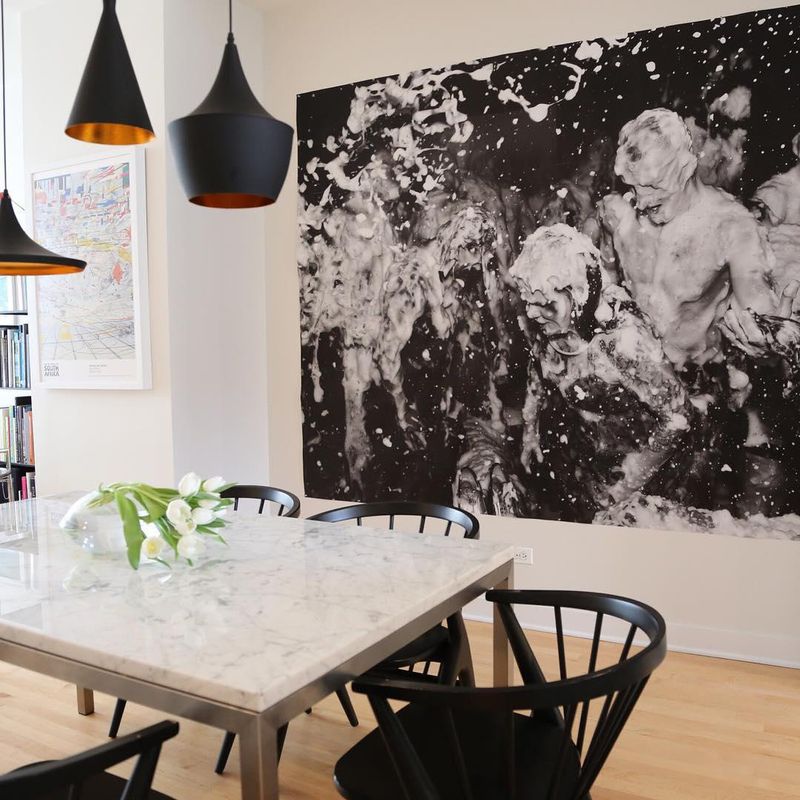 Struggling with where to start on your dining room design? That’s where we come in. We offer free design services to help you get personalized ideas and advice from our design experts in our stores, over the phone or online! Love all of these. Some of the simpler styles are the best I think. They not only add a bit of elegance they leave room for blending other pieces you may like. Such a nice collection. This mix & match of dining set is really a good idea.